Provide comfort for the family of Carol Schattel with a meaningful gesture of sympathy. Carol Sue Schattel, age 67, passed away in Snyder on Thursday, February 7th, 2019. Family Visitation is planned for Friday, February 8th, 2019 from 6 PM to 7 PM at Miller Family Funeral Home. Funeral services will be on Saturday, February 9th, 2019 at 2:00 pm at New Life Bible Ministry, 1644 Hickory Street, Colorado City, TX with Pastor James Williams officiating. Burial will follow under the direction of Miller Family Funeral Home at Schattel Family Cemetery, Snyder, TX. Mrs. Schattel was born on February 11th, 1951 in Roscoe, Texas to David and Catherine (Bishop) Hammit. She married Don Schattel on April 3, 1982 in Snyder, Texas. She was a Homemaker and a member of New Life Bible Ministry. She loved her Grandchildren, farming, crocheting and adult coloring books. A Special Thanks to her church family, Hospice Care (Valerie, Mary and Shawna and special friends, Charollette Clemons, Terri Blocker and Nancy Stansell. To send flowers in memory of Carol Sue Schattel (Hammit), please visit our Heartfelt Sympathies Store. 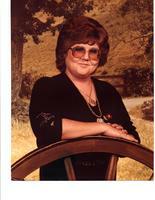 Provide comfort for the family of Carol Sue Schattel (Hammit) by sending flowers. So sorry for your loss. I love you dearly. RIP my friend, God speed!